Dr Myrto Tsakopoulou is a counselling psychologist specialising in cognitive behavioural therapy. She is also trained in EMDR, cognitive analytic therapy (CAT) and compassionate focused therapy (CFT). She also integrates elements of mindfulness and dialectical behavioural therapy (DBT) in her practice. She has more than 10 years’ experience working in the NHS and in private practice with people with a variety of mental health problems. Myrto has worked extensively with people with mild to moderate problems with depression and anxiety (e.g. stress, sexual difficulties, OCD, social phobia, health worries, work performance, anger management, sleep problems, relationship difficulties), but also with severe mental health problems. She has a specialist interest in psychological trauma, including complex post-traumatic stress disorder (CPTSD). Myrto's approach is often directive but collaborative in nature; she works with the client not only towards understanding the roots of their difficulties but also in learning practical skills to help them cope better. 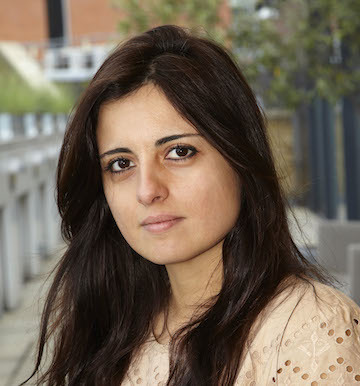 Myrto is a chartered counselling psychologist with the British Psychological Society (BPS), registered with the Health and Care Professions Council (HCPC) and accredited by the British Association for Behavioural and Cognitive Psychotherapies (BABCP). She is a recognised provider with the following insurance companies: Cigna and Aviva.